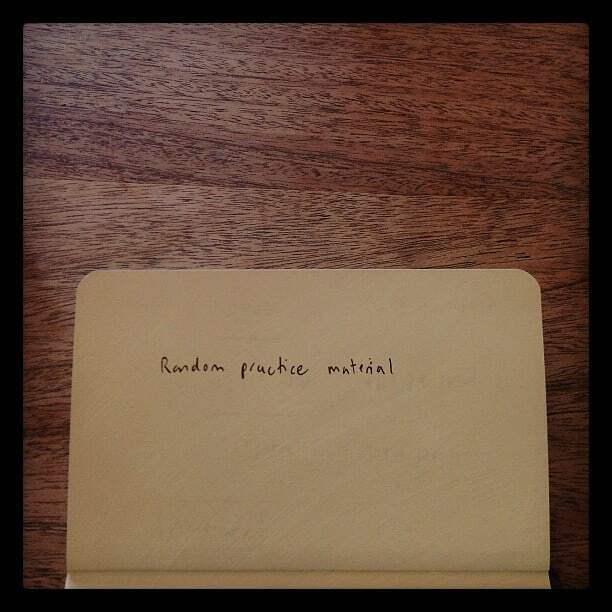 Have an element of randomness to a part of your practice. This can take the form of just saying yes to any gig that comes your way, and, I suppose, it’s a natural element of being an improviser. Use that stack of old music for sight-reading practice. Click ‘record’, give yourself a bit of pressure, and off you go. I use old Guitar Techniques magazines. I’ll just select one and read everything in it along with the CD. If there’s something too tricky, I’ll figure it out. You’ll get some Hocus Pocus by Focus, followed by some Hank, a bit of Yngwie, Knopfler, Chet, and so on. Random iPod and then jam along, learn it, sing along, whatever. Working with randomness develops the ability to adapt, which supercedes an ‘approach’, which is boring.